Do you take things to the max? Are you so extreme you make Tony Hawk look like an elderly old man in a scooter? Do you look at everyday objects and wonder what it would take to jump them in a motorized vehicle? Do you own an Evel Knievel-style leather jumpsuit? If you answered yes to any of these questions, then it sounds like you qualify for the Ford Max Trailer Tow package. Take trailer towing to the max, and beyond. If you’ve got somewhere to go with something to tow, and no time to waste, then hitch your wagon to the truck with enough horses to leave the competition eating your dust. So take a minute to read Team Ford’s breakdown on the Max Trailer Tow package — it’ll be the most thrilling, adrenaline packed thing you lay your eyes on today (with the exception of a Ford truck). Brute strength is great, but Arnold Schwarzenegger didn’t get to be Hollywood’s most extreme action hero off of pure brute strength alone — he did it by being cooler under pressure than the rest (if you are looking for proof, Google “Schwarzenegger one-liners”). And you know what makes the Max Trailer Tow package cooler than the rest? Well, an auxiliary transmission oil cooler and engine oil cooler for one. But this isn’t the only upgrade the Max Trailer Tow package gets, oh no. How about an electronic-locking rear axle with a 3.55 or 3.73 axle ratio for starters, offering better fuel economy. How about a 7-pin wiring harness, with Smart Trailer Tow Connector and integrated trailer brake control, providing you full control over your trailer. Because what is more extreme than being extremely in control? Now normally you don’t think about the guys programming things into computers as taking things to the edge and beyond, but the ones working for Ford are making things extreme; extremely easy. Because the Max Trailer Tow package comes equipped with Pro Trailer Backup Assist, trailer sway control, and Ford’s BLIS® (Blind Spot Information System) technology. Which makes backing up and driving your trailer as easy as it is extreme. So as you can see, the Max Trailer Tow package is about as intense a boost as you can get. The holy trifecta of performance, power, and finesse, wrapped up into one easy decision to make.  If you’re like the daredevils working at Team Ford and get all jacked-up at the prospect of jacking up a trailer onto your hitch and hitting the pavement running, then come by Team Ford and find out more about our line-up of Built Ford Tough trucks, and the Trailer Tow package that takes towing to the max. *Max towing capacity is based on a number of factors. Always consult with a member of the Team Ford sales staff if you are unsure of how extreme a load your truck can handle. Going over your max towing capacity can lead to major damage to your truck, voiding your warranty, or worse. Always drive and tow to the max — responsibly.